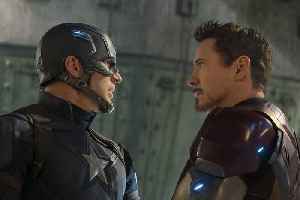 While both of those films had very different openings than “Captain Marvel” — “Wonder Woman” opened to $103 million while “Black Panther” opened to $202 million — both notably kept their second weekend drop-offs below 50 percent. Strong word of mouth, combined with the cultural weight those films had, resulting in Marvel and DC fans returning to theaters to see again and again, making them both huge hits. 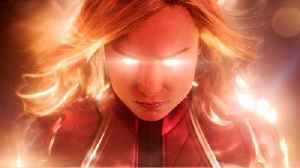 After less than a week in theaters, “Captain Marvel” blew by the half-billion global mark after adding $33.3 million worldwide on Monday, including $10.9 million domestically. 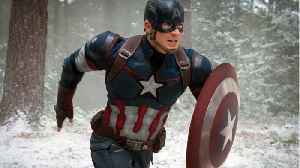 The film already stands as the sixth-highest global opening of all time; and on the premium format side, it became the first non-sequel to crack the top five highest IMAX global openings ever with $36.1 million ($14.1 million domestic), adding another $2.4 million on Monday. 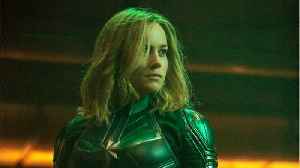 Then, on Tuesday, “Captain Marvel” added $34 million worldwide with $14.1 million domestic, the 2nd largest total ever recorded on a March Tuesday in box office history. That nearly matches the $14.3 million that “Wonder Woman” made on its first Tuesday in the middle of summer 2017, while “Black Panther” grossed $20.8 million on its first Tuesday. 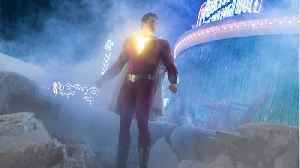 It’s a sign that the hunger for diverse superheroes is as strong as ever, and makes it likely that “Captain Marvel” will see a 2nd weekend total of $75 million or more. This weekend’s new releases will also provide little competition. The top new release of the weekend is projected to be Paramount’s animated movie “Wonder Park,” which is projected to open to $10-14 million from 3,800 screens this weekend. On the lower end, that would match the opening of “Sherlock Gnomes,” which opened to $10.6 million in this release slot last year. Also releasing this weekend is Lionsgate/CBS Films’ “Five Feet Apart,” which is projected for an opening of $8-10 million, with CBS Films projecting a smaller opening of $6-9 million. Focus Features will also release the Amblin/Participant Media sci-fi film “Captive State,” which is projected for a $3 million opening. “Wonder Park” tells the story of an inventive young girl who discovers a magical theme park deep in the forest that matches the one she once imagined but later put aside. Jennifer Garner, Matthew Broderick, John Oliver, Mila Kunis, Kenan Thompson, and Ken Jeong star in the film. 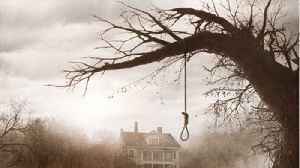 The film has no credited director after original director Dylan Brown was fired close to the end of production back in January 2018 following investigation into sexual misconduct accusations made by multiple women. “Five Feet Apart” follows the story of two teenage hospital patients (Haley Lu Richardson and Cole Sprouse) who fall in love even though their intensive medical treatment forces them to remain physically apart. Justin Baldoni directed from a script by Mikki Daughtry and Tobias Iaconis. “Captive State” takes place in a dystopian future where mankind is enslaved by an alien race under the pretense of peace. With humanity split over whether or not to fight back, a Chicago police officer (John Goodman), is tasked with building an uprising with the help of a young man whose father was killed by the occupying force (Ashton Sanders). Rupert Wyatt directed from a script he co-wrote with Erica Beeney.